From time to time we all, as moms, feel a bit of guilt. This can be especially true when we are homeschooling our children. Life sometimes just gets in the way of a consistent homeschool schedule. Or, we take shortcuts in housework, or meal time in an attempt to keep up with school and it causes us some homeschool mom guilt. We are right there with you in this regard. Even though we’re homeschool mom bloggers who write about the joys of homeschooling, the reality is we often feel the homeschool mom guilt. We’re all human and no one is perfect. 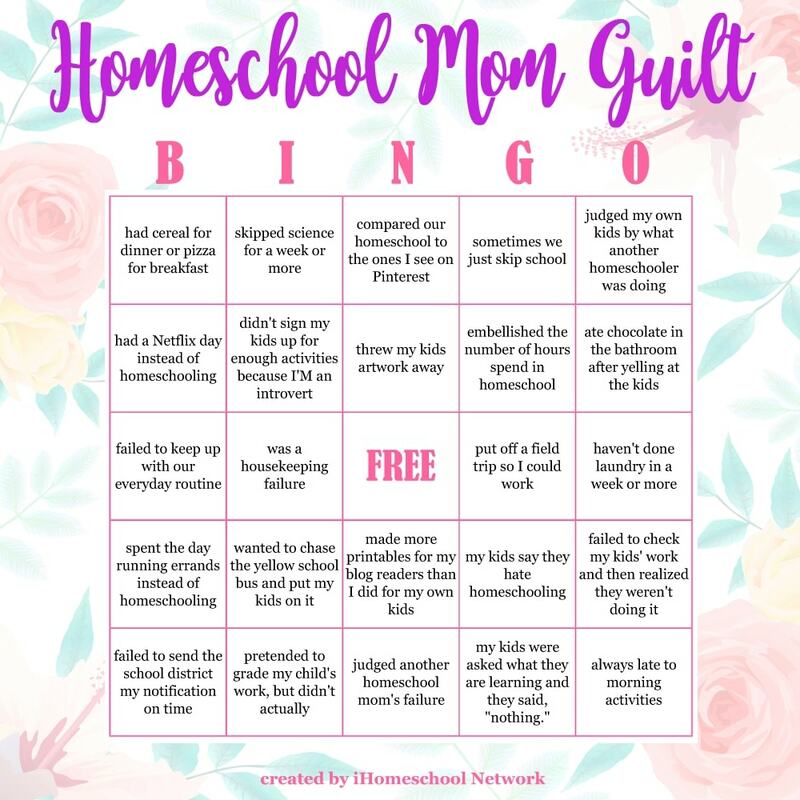 So we’re keeping it real today by sharing a variety of ways that we feel homeschool mom guilt in this homeschool bingo game. 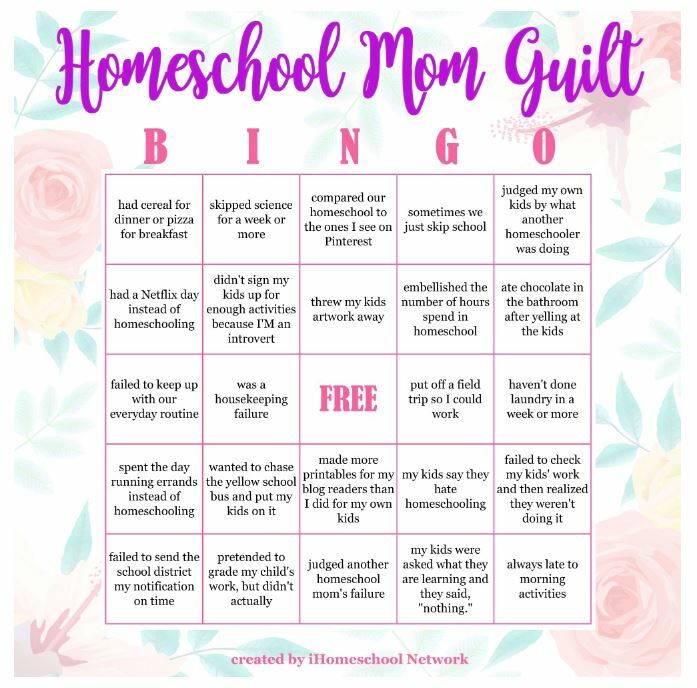 The BINGO image above is clickable, so you can click each square to read each blogger’s post about their own homeschool mom guilt.